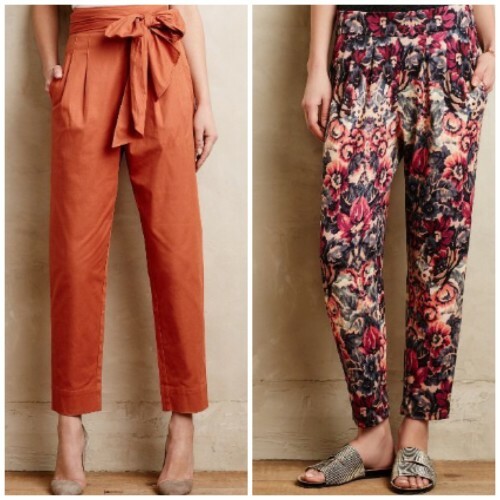 As much as I love my skinny jeans, I am excited to see some new pant styles emerging this spring season. are easy to wear, proportion is the key. 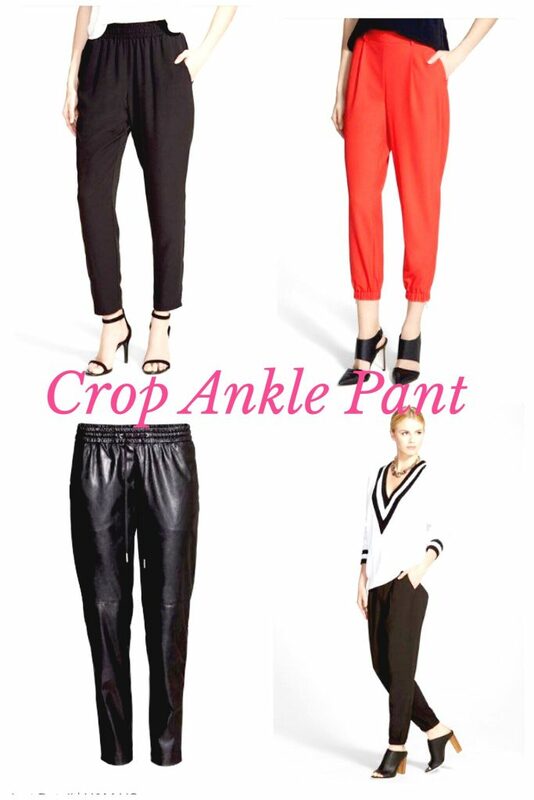 Wear these above your ankle with a high waist for a beautiful nipped in waist shape. Keep the top tucked in or cropped. Switch to heels for evening for an on the town look. 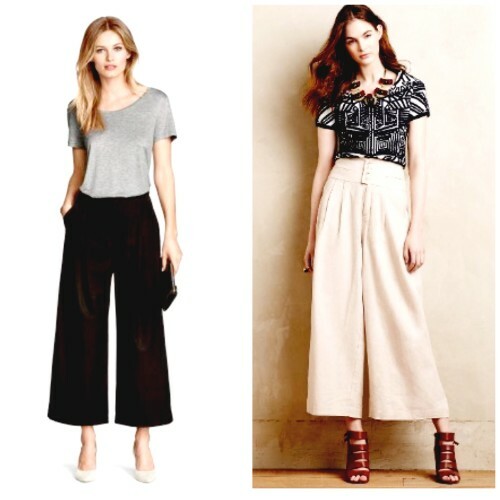 I personally am on the look out for a wide leg crop in denim. I have seen a few at Zara, but am still on the hunt – stay tuned. If wide legs are not for you, try a more tapered crop pant. 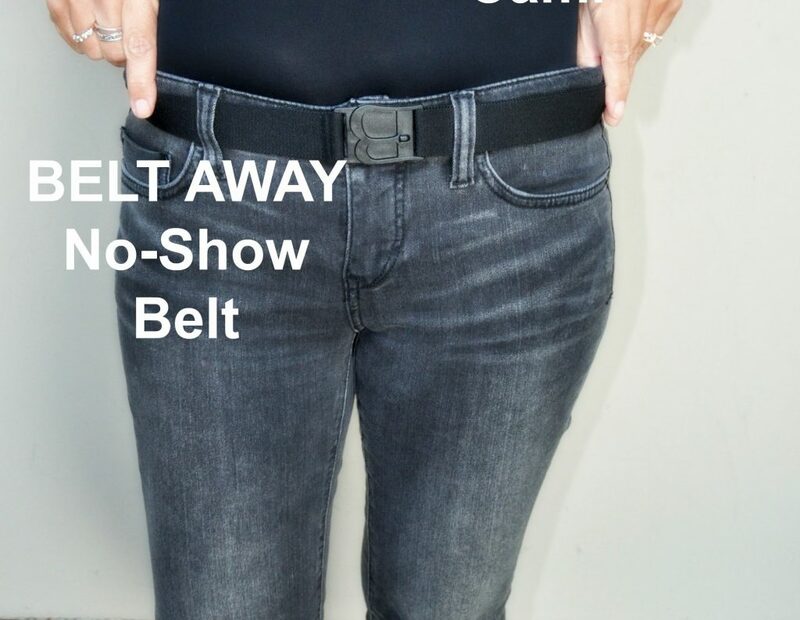 Again, keep the look lean on top to show off your waist. 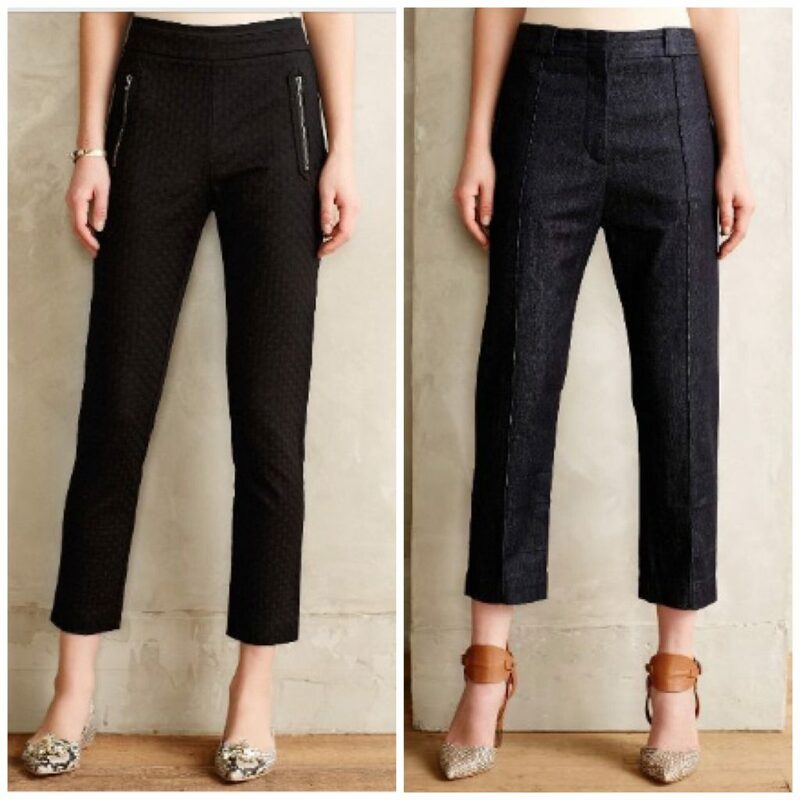 This style is currently trending with a high waist making it oh-so-flattering. I picked up these faux leather pants at H&M a few weeks ago for $34.95 and wore them out to a dinner and movies with the hubby. They are actually really comfortable and look more expensive than they are! Lower left corner shows a dressing room shot so you can see the waistband. 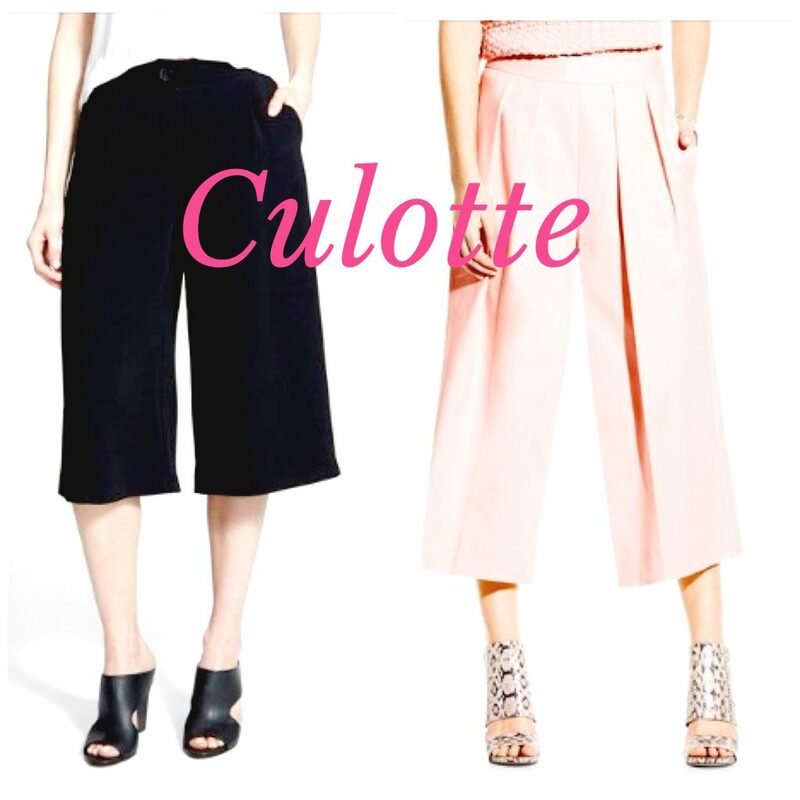 This seasons culotte is elegant and fluid. Think of these as a replacement for a skirt. Paired up with a crop jacket – a great option to mix up your look for work! 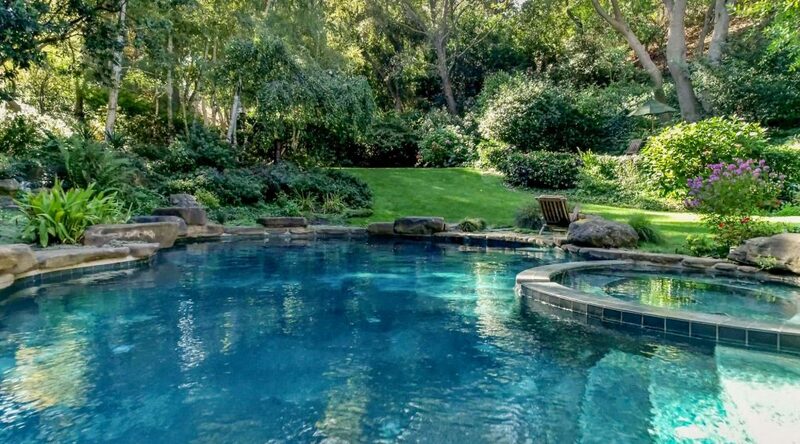 I am sure we will see more of these as we move into spring and summer. Jumpsuits are everywhere this season available in everything from minimalist to sassy on the town styles. 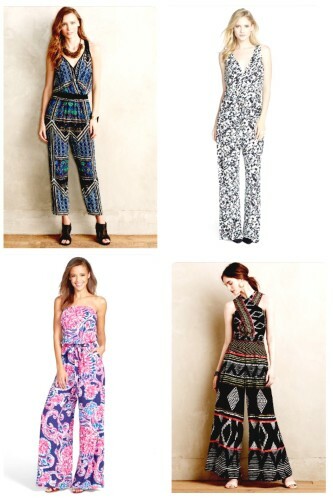 I see this easy to wear style as replacing a few of my maxi dresses that I have lived in the past few seasons. Available in all pant styles; wideleg crop, crop, culotte and full length wide leg there truly is a style for everyone willing to try it out. The key is; like when pant shopping, finding the fit and look that works for you. Think of jumpsuits as a dress with legs. Like a dress, the top may fit great but not the bottom or vise versa. Get the one that fits you best on top or bottom, then have the other half tailored for a great fit. Want to try crop style? Wear this easy crop style with everything from flat sneakers to heels. 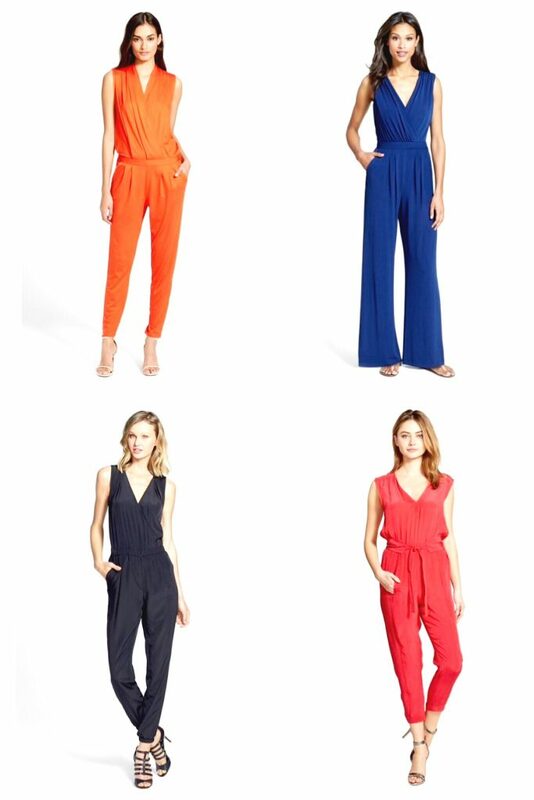 Vince Camuto makes great, easy to fit jumpsuits. Here is my blue Vince Camuto that I picked up last spring. 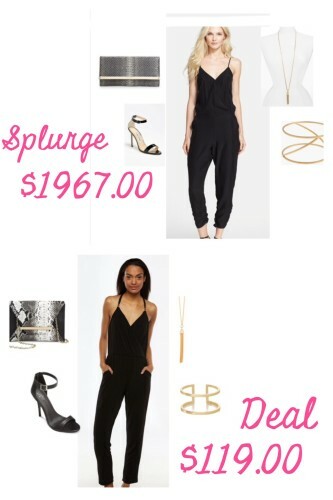 Want a sassy black jumpsuit? 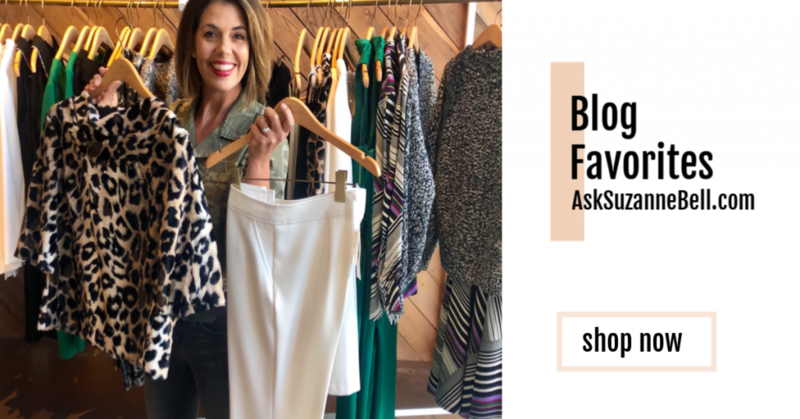 For the full round up ( I’ve got 9 for you at every price range plus the shoes and accessories) and how to wear ’em click HERE and see why this number is my new LBD! Any of these new pant silhouettes grab you? Like this post? Spread the word on AskSuzanneBell by clicking any of the social media buttons at the bottom of this page. Share one or all – thanks for stopping by and sharing the love! Spring 2015 is giving me loads of inspiration to hang up my skinnies and branch out into something new. 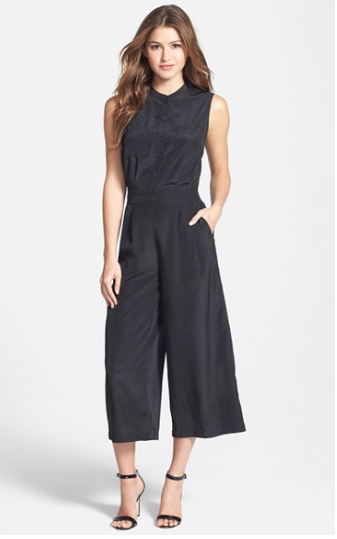 Ok, you’ve totally inspired me to try a floral sleeveless jumpsuit , high waist culottes and the Anthro pants with the bow waist ! Lovely post!